this is a graphite & watercolor illustration for Spoonful (a delightful australian zine). 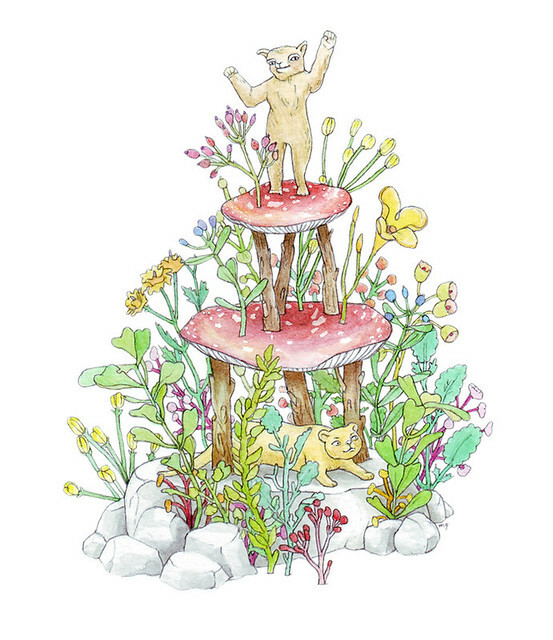 i was among a group of illustrators invited to interpret the idea of a tiered cake for the current issue (dedicated to sweetness). any excuse to draw lots of little plants and animals!